It is a big job for municipalities to keep towns and cities clean, safe and presentable all year round. Clean, well cared for outdoor areas make city life more pleasant for residents and create a good first impression for visitors. Keeping a city clean and presentable all year round requires a lot of different outdoor tasks. With Nilfisk Outdoor Rangers, you’ll get the strengths of a specialized machine and the broad flexibility of a multi-function utility machine – allowing you to react and adapt to whatever the weather brings. 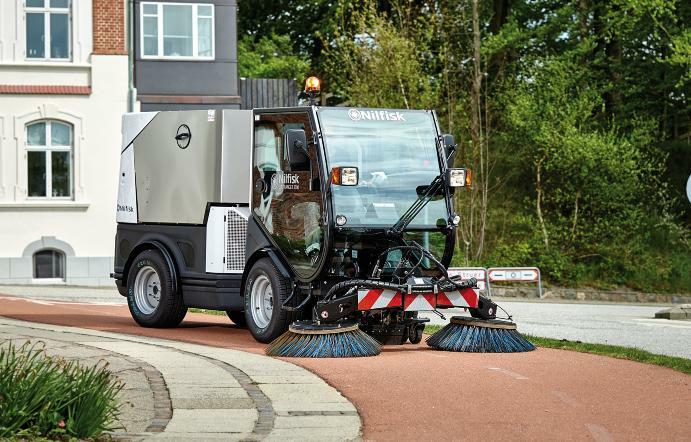 Use a Nilfisk Ranger as your platform for outdoor operations and you’ll gain access to dedicated attachments that will optimize productivity, costs, and results. 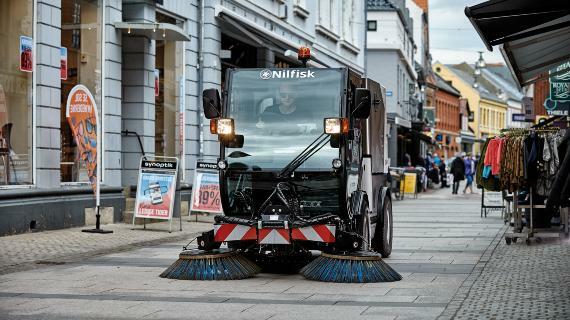 Whether it’s suction sweeping, street washing, weed control, green care or snow removal – Nilfisk Rangers can do it all, which makes our Rangers a solid investment. Streets in towns and cities must be kept clean, but so must sidewalks, paths, plazas and other places where pedestrians are king. Nilfisk Rangers deliver perfect cleaning results all year round. Pedestrian areas are left sparkling clean once the Rangers have done their work. 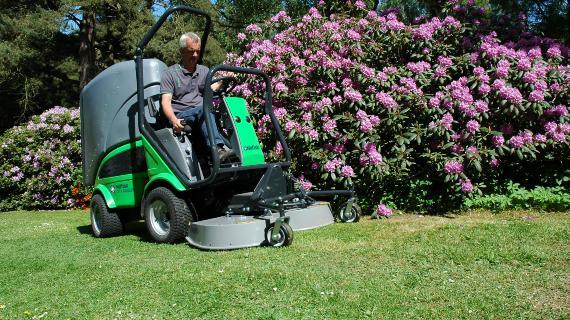 In spring, the operator can sweep up the grit and grime left over from winter. In summer, the Rangers will keep outdoor areas free of cans, paper and litter. Once it’s autumn, they’ll take care of wind-blown leaves and dirt. When winter arrives there is no need to worry - Nilfisk Rangers handle winter maintenance efficiently. 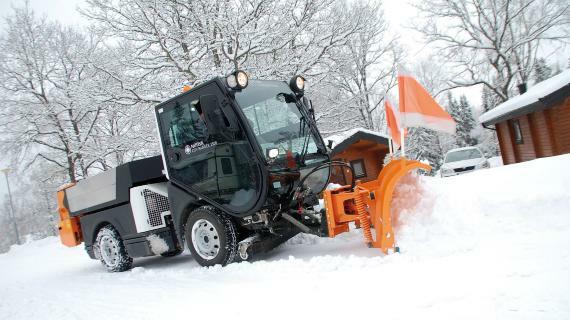 Their exceptional articulated steering and compact size makes the Rangers perfect for snow removal and the removal of gritting on paths and sidewalks to ensure pedestrian safety in city centers. Snow and ice can arrive suddenly in winter, and reacting quickly can make a big difference when it comes to public safety. 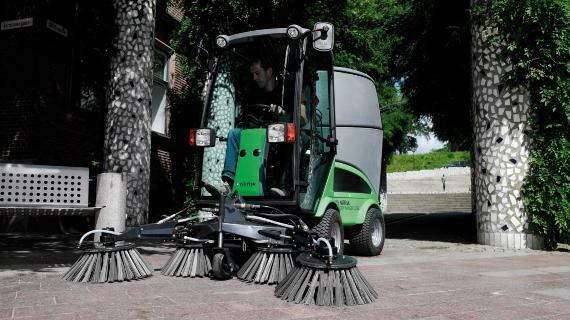 Nilfisk Outdoor Rangers have been designed for a quick shift of attachments, so that they are always ready to go when needed. 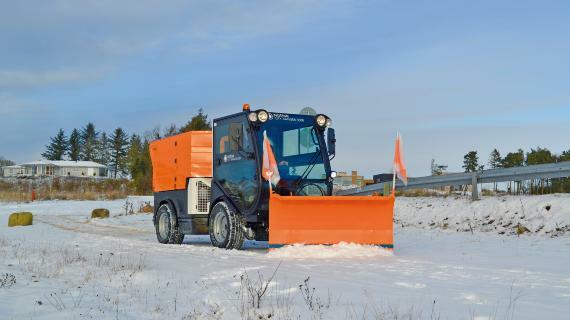 High performance, optimum operator comfort and good visibility from the heated cabin ensure impressive results. Whether it’s a sunny day or a chilly one, town squares and city parks make urban areas more pleasant and livable. Ongoing maintenance helps keep green areas looking their best. Nilfisk Rangers are ready to take on all your versatile green care assignments. To optimize productivity and results, our Outdoor Rangers are designed with a full range of professional green care attachments. They help perform the many different maintenance tasks required for the upkeep of green areas: lawn mowing, edge cutting, hedge trimming, verticutting, leaf collecting, and more. Clean streets, bicycle lanes and car parks make a city more attractive and livable. Nilfisk Rangers offer a proven all-year-round solution for keeping outdoor areas clean and pleasant. 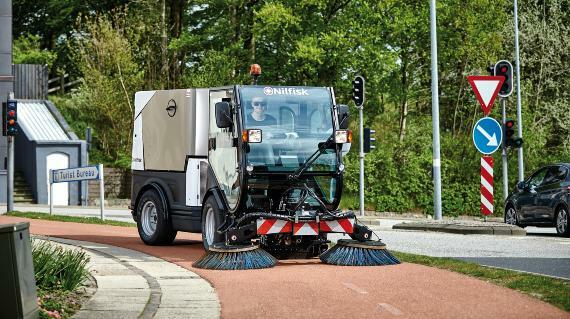 From suction sweeping to removing dirt and waste, from street washing to scrubbing paths clean, Nilfisk Rangers are ready, helped by a wide range of tailor-made attachments. Snow and freezing rain can arrive suddenly in winter. Reacting quickly can​ make a big difference when it comes to public safety. Yet snow removal from streets, bicycle lanes and sidewalks can be a difficult and exhausting job. That’s why the City Ranger 3500 has been built for high performance. The Ranger allows for a quick shift of attachments, so the machine is always ready to go when required. 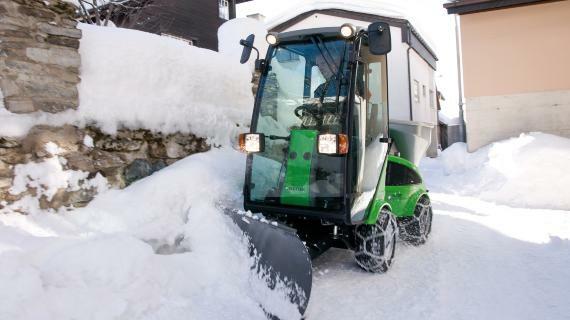 And the same machine you use for street cleaning all year round can also handle your winter jobs, keeping the streets safe during the chilly months. "When we bought the City Ranger at Hans Holm Maskinforretning A/S, it was in fact the only machine that met our demands."